The Hurricane Lamp that stands at 17.7 inches tall is one in a series of three Hurricane Lamps by Hanamint. 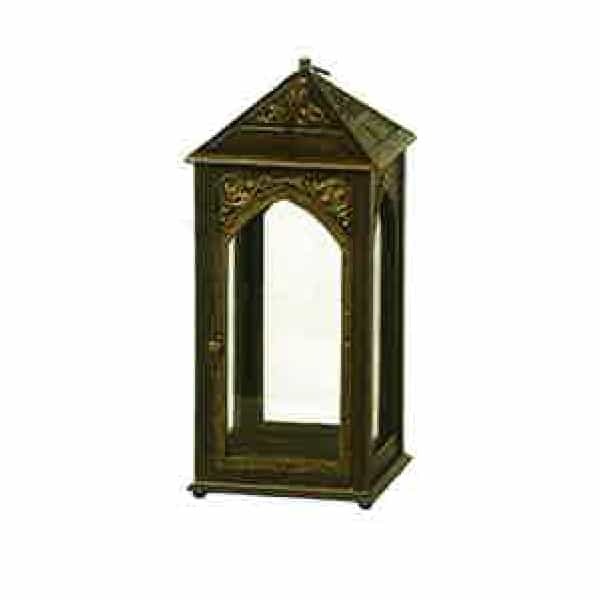 The Hurricane Lamps are part of a new line of outdoor accessories that Hanamint has designed for their loyal base of shoppers. Each Hurricane Lamp features a full encasing to protect the light source, and has the same squared 20.6’’ by 20.6’’ dimension. The difference lies is in the height of the Hurricane Lamps. Each Hurricane Lamp features an identical detailing that may integrate into an existing Hanamint collection or work as an accent to a different collection by a different designer. The Hurricane Lamps may be placed in a cluster of differing heights or stand alone as a sole light source. Hurricane Lamps are safely encased so as to protect against inclement weather, like winds and rain.